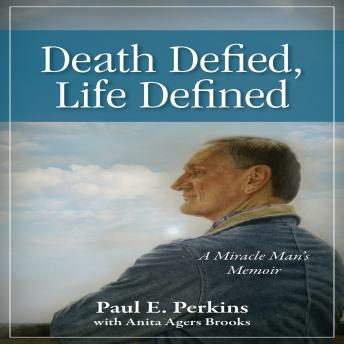 Death Defied, Life Defined is the true story of Paul E. Perkins, a heart and kidney organ recipient who died at least two medically confirmed times, yet lived to tell his fascinating tale. Paul Perkins expected the final breaths of his life to feel different. Prior to a long-term illness that led to his double organ transplant, Paul didn't want to waste his life obsessing over his death. Do we instantly wake up on the other side when we die, or do we sleep in the grave waiting for the big wake-up call? Is the dying process slow or is the light of life snuffed out in a blink? Will we feel panic or peace as we slip into the realm of the eternal unknown? Is there truly something beautiful waiting across a distant shore? Paul's questions were answered, and then confirmed a second time when his illness cost him his life at least twice, and as his doctor added, Probably more. If you have lost someone you loved or if you fear death, if you or someone you know is ill or curious about organ transplantation, Paul's true story offers hope and encouragement. Death is not the end. For many of us, the best is yet to come.